The global market for laser hair loss treatment is likely to expand at a steady pace in the next few years, thanks to the steady rise in the number of companies foraying into the field and the increased availability of technologically advanced products in the global market. Steady rise in the numbers of specialty hair care clinics across the globe and rising consumer confidence in technological interventions for hair loss treatments are also leading to an increased demand for effective laser hair loss treatments from across the globe. Other factors such as busy lifestyles of the global population and the increased demand for easy-to-use and quicker solutions for treatment of hair loss are also benefitting the demand for laser devices treating hair loss as these devices promise a more effective and quicker impact when it comes to growing new hair follicles. Increased visibility of these products through advanced retail outlets such as hypermarkets and supermarkets in emerging economies is also significantly improving the growth prospects of the market. Moreover, the rising preference of consumers to home treatments over the highly expensive treatments undertaken at specialized clinics is also acting as a promising growth driver for the market. Besides, a number of total hair transplant methods are beyond the financial capacities of a larger part of the world’s population and several clinic-based treatments are either invasive or are based on chemicals. With the help of laser treatments, several of these issues are taken care of, thus leading to increased preference. While the market presently acquires a large share of its revenue from developed economies in regions such as North America and Europe, a large share of demand is also being served from emerging economies across regions such as Latin America and Asia Pacific. Asia Pacific, especially is likely to emerge as one of the leading regional markets over the next few years. Laser therapy is typically a non-invasive medical procedure that utilizes light of a specific wavelength to treat different conditions or diseases. This procedure is extensively used in removal of tumors or abnormal growth, hair treatment, removal of kidney stones, and repair of a detached retina among others. Laser therapy is regarded as an advanced kind of medical therapeutics. In medical procedures, laser enables surgeons with the capacity to work at high levels of precision by allowing them to focus on a specific area. This process results in lower damage as compared to the traditional methods of surgery. However, any process using laser therapy is an expensive one and may require repeated visits to the surgeon. Laser technology for hair loss is gaining substantial traction, as lasers can be used to remove blockages for proper circulation of blood at the roots of the hair. Laser treatments additionally help in fortifying hair strength, and improving its elasticity and shine. The report provides a comprehensive analysis of the laser hair loss treatment market’s segments, including their dynamics, size, growth, regulatory requirements, technological trends, competitive landscape, and emerging opportunities for supplier. This report also examines the technologies, markets and factors influencing the markets for laser hair loss treatments. Market forecasts are based on historical activity and current opportunities, technical advances and challenges. In this briskly changing world, due to extremely busy and changing lifestyles and the need for swift solutions is expected to provide an opportunity for vendors of hair treatment devices to develop products, which cater to the changing needs of the customers. A large number of technological advancements are leading to the development of solutions such as portable laser devices with features such as home treatments. The market is witnessing a surge in the trend for treating hair loss at homes due to its cost-effectiveness as compared to clinical laser treatments. A substantial number of customers cannot afford a total hair transplant as its cost is significantly high. Additionally, the treatments used in clinics are invasive treatments, which are expensive and time-consuming. Another leading trend in the laser hair loss treatment market is the increase in the non-invasive therapies. Invasive therapies are regularly used in hair loss treatment, but these procedures are expensive and cause discomfort to patients. Non-invasive therapies, on the other hand, are procedures, which does not require an incision in the human body and are painless therapies. Less pain, small incision, reduced hospital stays, and fast recovery is some of the major reason for the growing demand for non-invasive therapies. Rise in the preference for advanced laser based treatment for various diseases is expected to drive the market growth in the coming years. Increasing disposable income and rise in the demand for laser treatments in developed economies are expected to provide significant growth opportunities during the forecast period. The hair loss home treatment devices are expensive because of the technology used in them. New innovations are making these devices safe to be used at home. These devices do not require any training before use. Awareness of these devices is created by e-commerce platforms with portable devices being sold on e-commerce websites. The increase in e-commerce will also fuel the growth of home care products. These websites increase the reach of vendors and make it easy for them to sell products in the international market. On the basis of geographical segmentation, the global laser hair loss treatment market has been segmented into- Europe, Asia Pacific, North America, Latin America, and the Middle East and Africa. 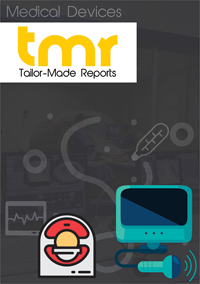 Key market vendors operating in the global laser hair loss treatment market are iRestore, Eclipse Aesthetics, Capillus, NutraStim, Apira Science, and HairMax.